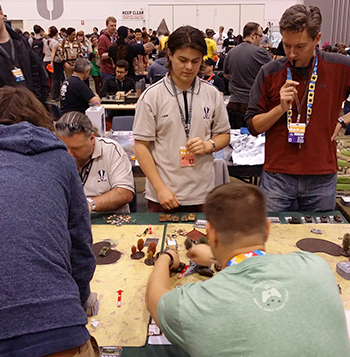 PAX, the Penny Arcade Expo, is a celebration of gaming. 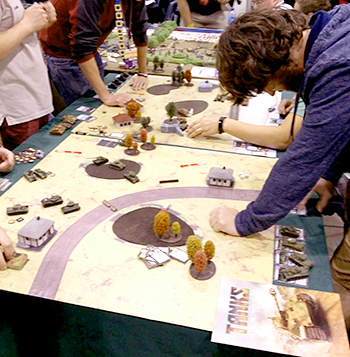 It was started in 2004 by online comic creators Jerry Holkins and Mike Krahulik, because they wanted a convention that focused solely on gaming. 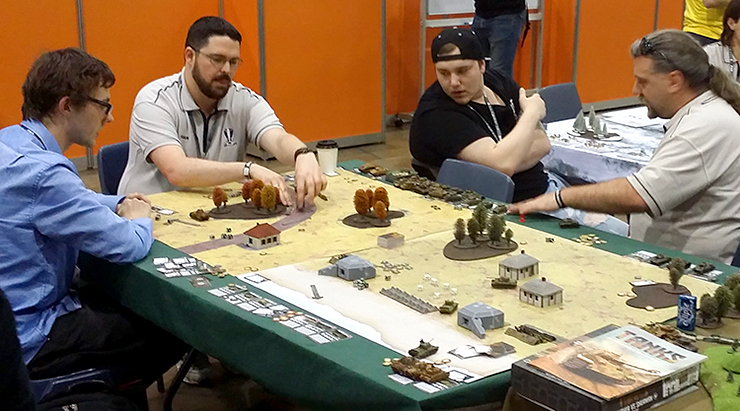 It has now expanded to five locations, each of which has tens of thousands of attendees every year. 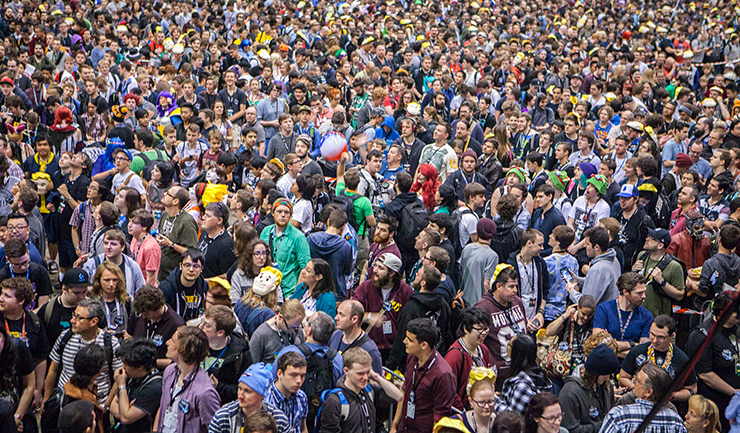 PAX Australia, which started in 2013, is the first PAX outside of the United States. 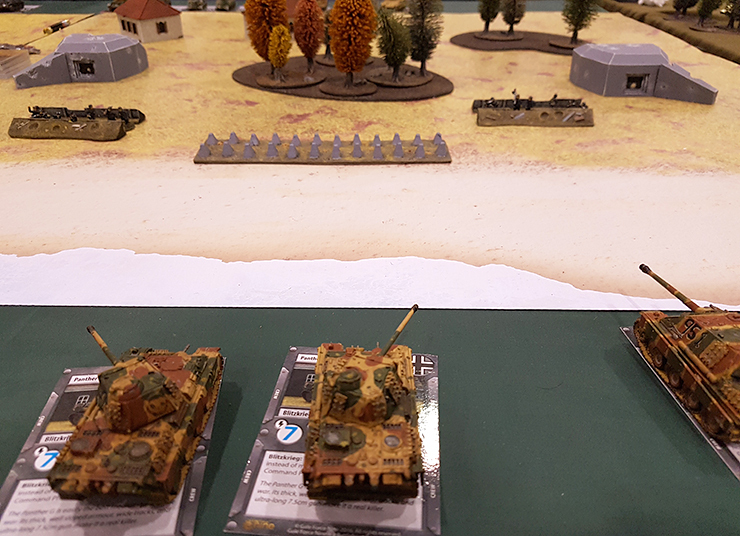 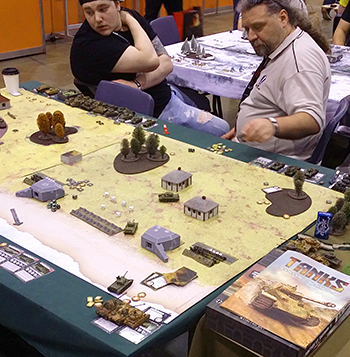 This year Australian PAX-goers got a chance to try out TANKS. 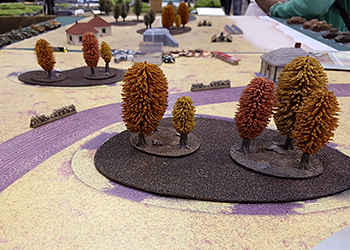 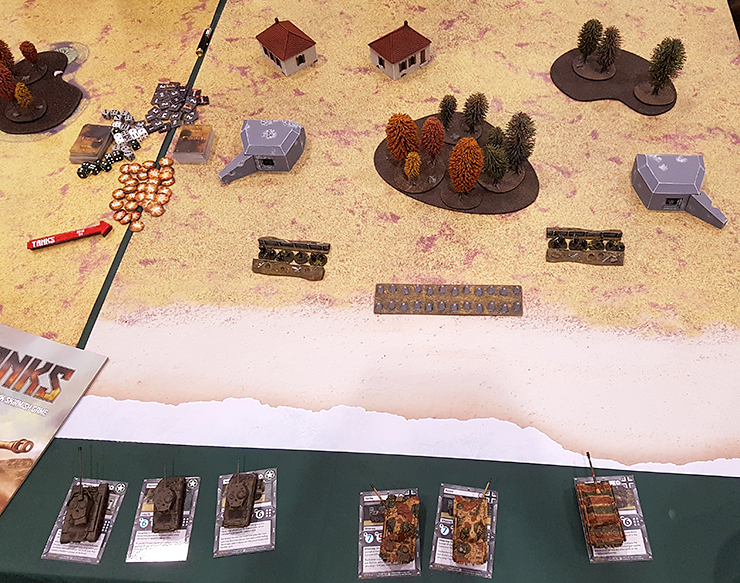 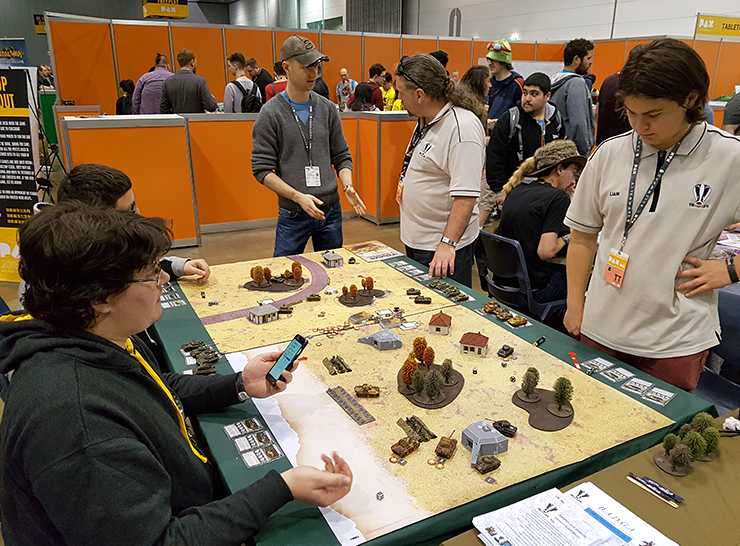 Demo games were run all weekend by volunteers from the Bendigo & District Gamers’ Association (BADGA). 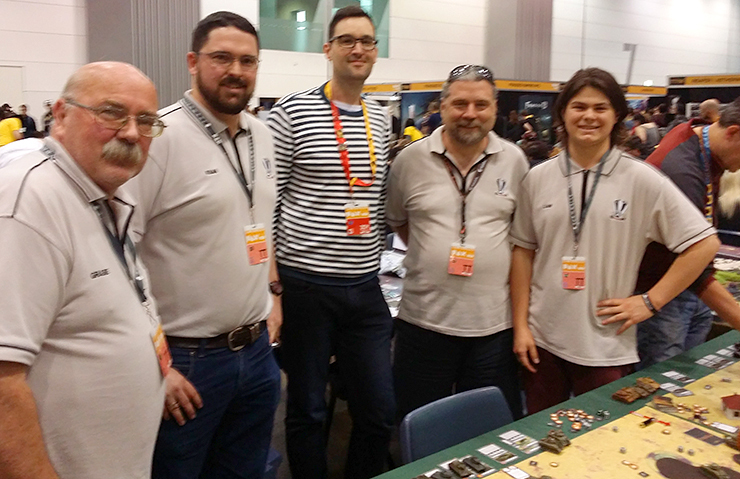 Below: James (centre) from the Battlefront studio enjoyed getting to meet (left-right) Graeme, Euan, Nick and Liam from BADGA. 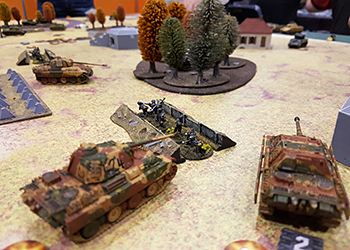 Thanks to the guys from Aetherworks and BADGA for giving people the chance to find out first-hand how much fun TANKS is! 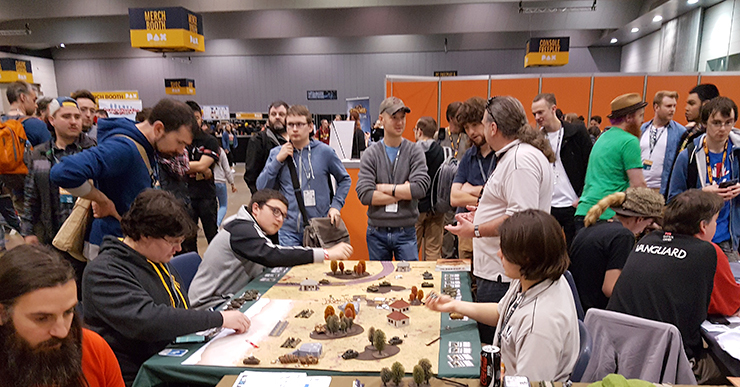 We were really gratified by the response, and we hope to be able to bring something even bigger to next year's PAX. 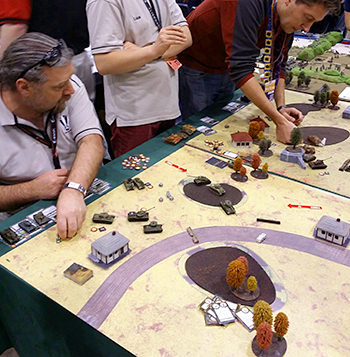 Below: Additional photos courtesy of Euan Harrison from BADGA.